1.5m wide, 2WD HR12N Bi-Energy (Battery & Diesel). 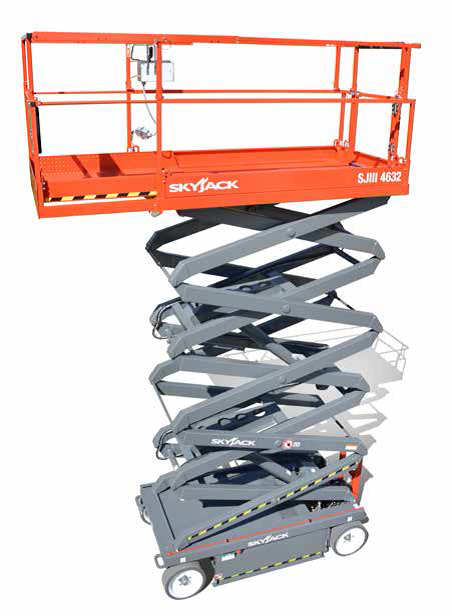 The Height Rider 12 Narrow self propelled boom lift is one of the most versatile and reliable machines in its class. It is specifically designed to give maximum reach performance from the lightest, most compact base possible. 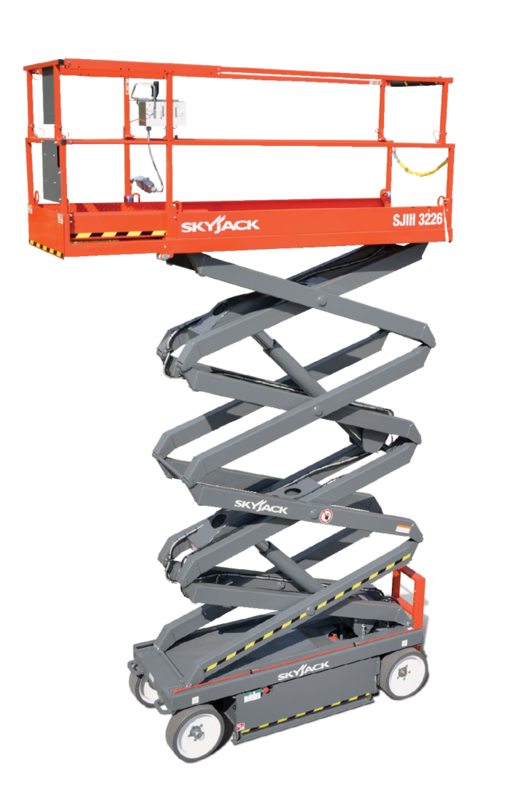 A telescopic upper boom gives the HR12N self propelled boom lift improved accuracy when positioning the platform and superb maneuverability makes it ideal for a wide range of applications. 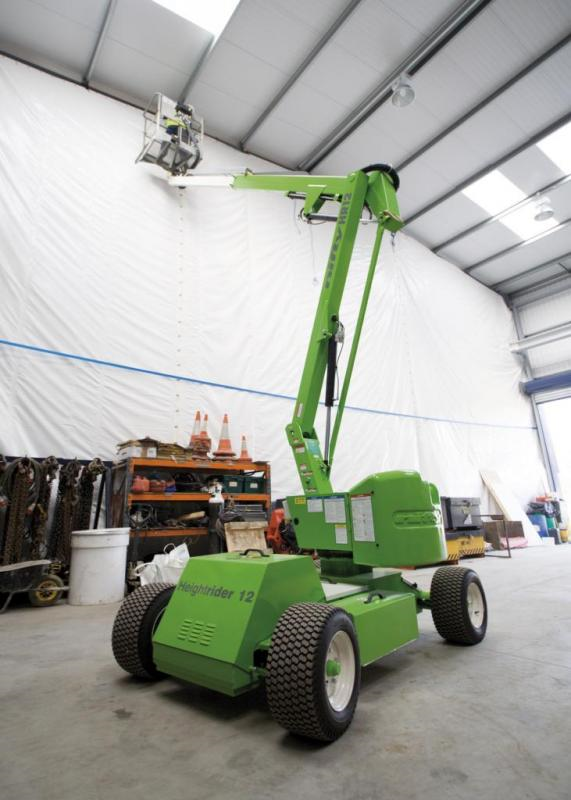 With a 1.50m (4ft 11in) narrow chassis, the HR12N self propelled boom lift is ideal for working in factories, warehouses or anywhere that space is restricted. HR12N self propelled boom lift works for extended periods inside and outside, making it the perfect all-rounder. Niftylift N120M1.5m wide, 2WD battery only powered machine with an integral charger. The Nifty 120 is a robust and versatile trailer mount. It has retractable axles that allow it to pass through a 1.1m wide opening or doorway giving better access to applications. As standard, the Nifty 120 trailer mount comes with manual outriggers which are cost effective and simple to setup, but there is also a hydraulic outrigger option to help save time and energy when setting up. Operation is quick, easy and precise due to reliable fully proportional controls and its versatile battery power pack enables the Nifty 120 trailer mounted to work inside and out quietly and with zero emissions. The Nifty 120 trailer mount is a fast, cost effective and safe alternative to ladders and scaffolds. EIevah	65 Move® is the electrical ladder of new generation that allows maintenance work up to 6.5m. Practical and safe, grants your establishment a profit in saving time with the maximum efficiency. Agile on every ground – special non-marking wheels allow you to work on any type of flooring. In case of holes the retractable skirt touches the floor, automatically stopping the machine, allowing a safe descent. Self-propelled at the Height – self-propelled when raised thanks to practical joystick. Compact and Practical – compactness and lightweight make this self-propelled machine, weighing only 593 kg, unique in its performance. Easy to Use – the basket is provided with an easy opening, really comfortable, with automatic locking function, when the platform comes into operation. A large storage compartment with shelf, facilitates picking. Everything is under control and close at hand with a complete control panel, ergonomic and efficient. 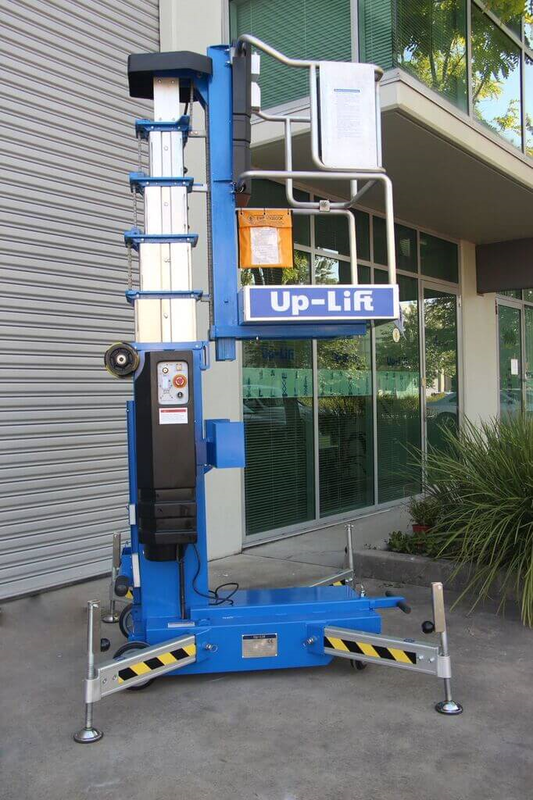 Up-Lift UE series Man Lifts are designed with a special focus on human safety and ergonomic requirements. They are compact, with superior external finishes, light and easy to handle, and meet the highest quality and safety standards. 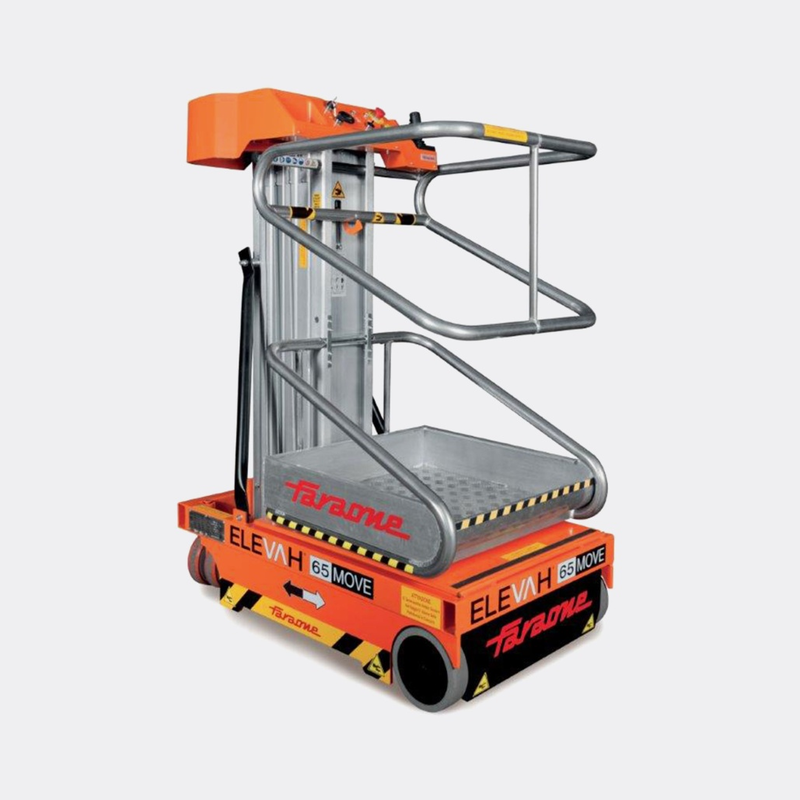 The UE 20 has a working height of 8.1m and is fitted with tilt back support for easy transportation and storage. 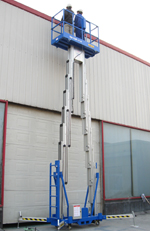 Up-Lift UT 33NS mast boom lift is compact and light weight in construction. 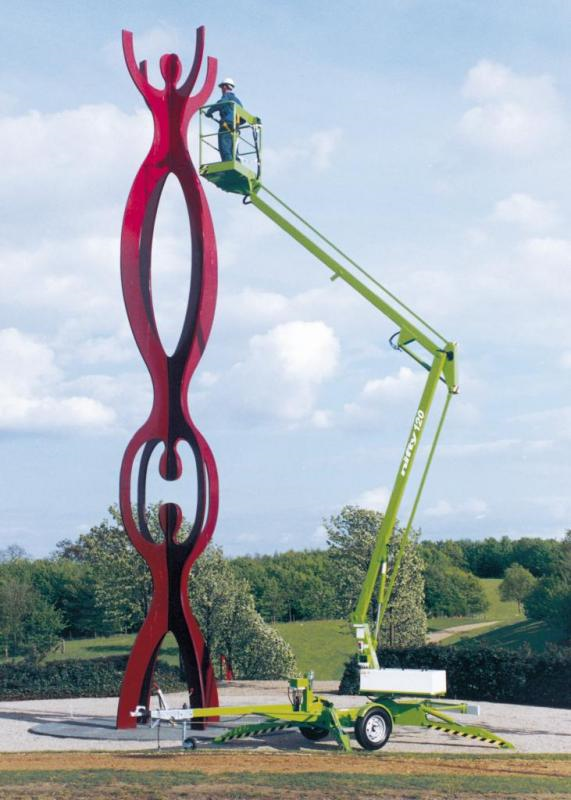 The high strength extruded aluminium masts provide the base for a more stable platform to conduct aerial works. The twin mast can carry one or two men with a working capacity of 200kg. Up-Lift UT 33 NS boom lift is extensively used for cleanings, decorating, maintenance and aerial signage work in offices, hotels, restaurants, department stores, emporiums, shopping centers, airport departure lounges, sports stadiums, convention centers and stadiums, as well as factories, hospitals, universities and colleges. It is designed to pass through standard doorways and elevator lifts and is especially suited to small confined working space applications. 220 V / 50 Hz.